The 49th NIPS international Symposium «ION CHANNELS: LOOKING BACK, SEEING AHEAD» was held at Okazaki, Japan in December 2018. As we are experiencing amazingly progressing world of bioscience, we can now obtain new information of molecular structure, protein-protein interaction, genetic regulation, biological functions and other aspects of ion channels. Essay from Dr. Sobolevsky titles «JGP 100th Anniversary: Influences: Russian training» is published in Journal of General Physiology on December 3, 2018. 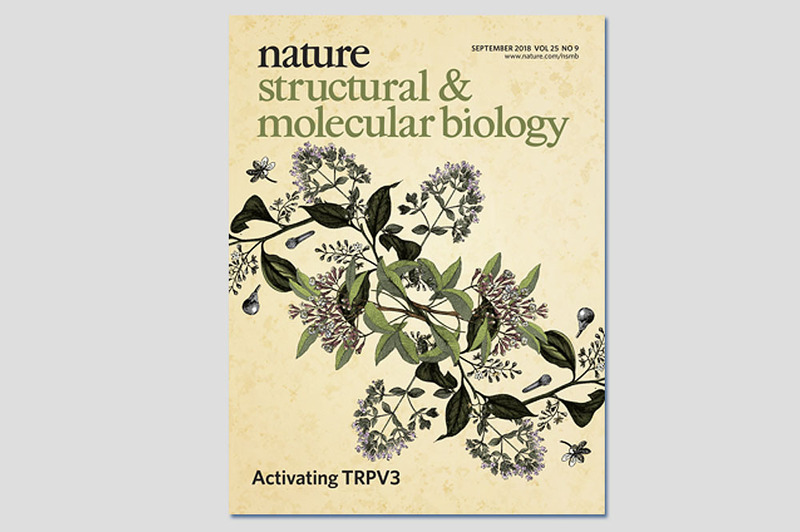 Our paper was featured on the current issue of Nature Structural & Molecular Biology cover! Activating TRPV3. Natural compounds from the camphor tree, oregano, clove and thyme activate the TRPV3 channel. Cryo-EM analyses of mouse TRPV3 provide insights into gating mechanisms. 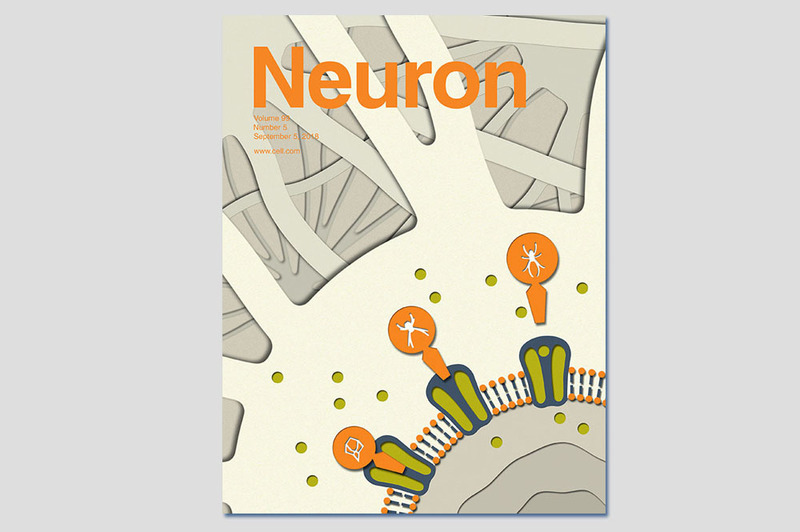 Our paper «Mechanisms of channel block in calcium-permeable AMPA receptors» was featured on the Neuron cover (issue from Sep 5th, 2018). 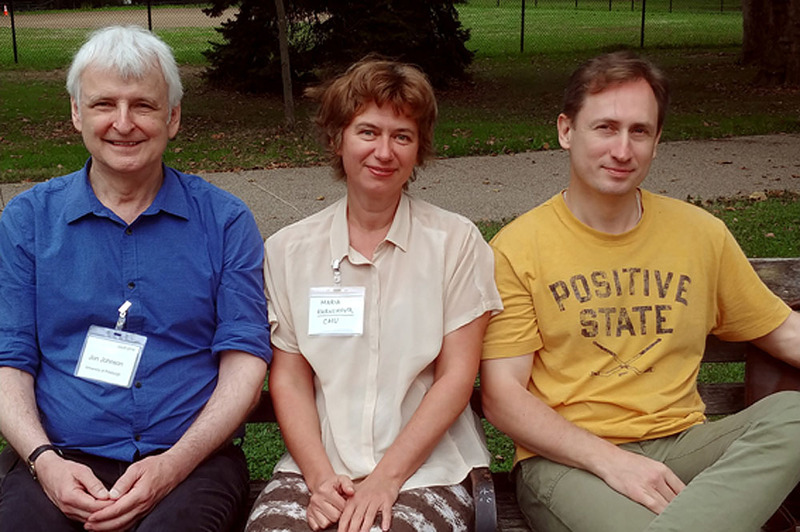 This year iGluR retreat was held at University of Pittsburgh, July 31 – August 2. Dr. Alexander Sobolevsky presented the poster titled «Mechanisms of channel block in Calcium-Permeable AMPA receptors». This work was published in Neuron on August 16, 2018. Luke presented his work on TRPV6 channel opening mechanism at Cellular, Molecular and Biomedical Sciences (CMBS) Columbia University Graduate Program Retreat 2018, Glen Cove Mansion, Glen Cove, NY. 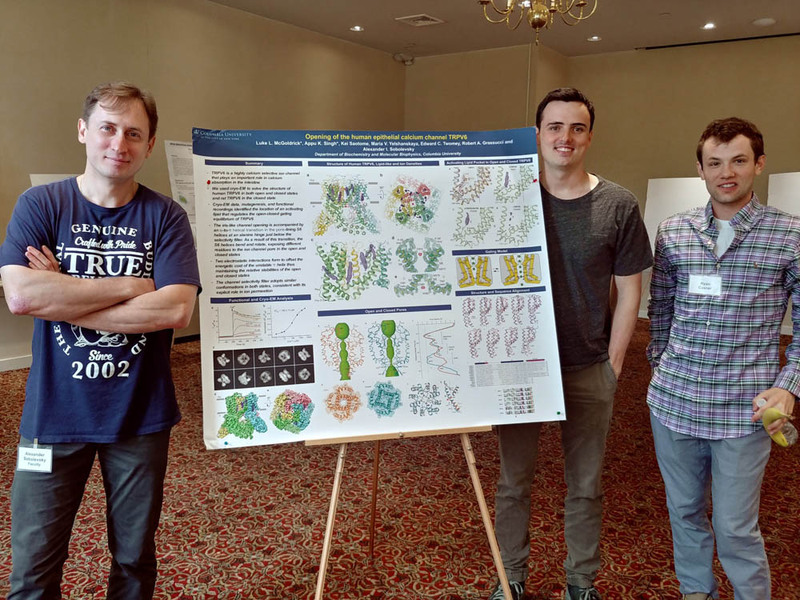 Dr. Alexander Sobolevsky presented a talk «Structural Mechanisms of Gating in Ionotropic Glutamate Receptors» at 2018 Ion Channels Gordon Research Conference at Mt. Holoyoke College, South Hadley, MA. 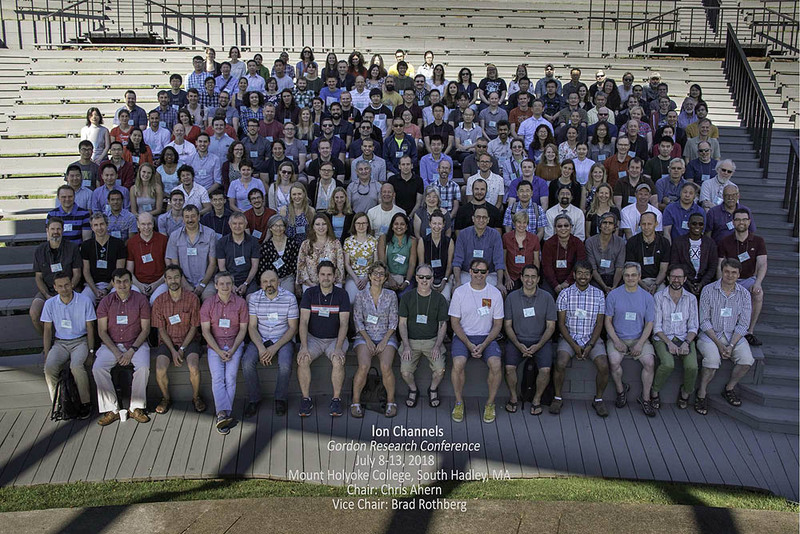 The first ionotropic glutamate receptor retreat (iGluRetreat) was organized by Dr. Gabriela Popescu (University of Buffalo, NY) and Dr. Derek Bowie (McGill University, Montreal, Canada) and was held at Cornell University in Ithaca, NY in 2013. To be named DEAN’s award recipient is a tremendous accomplishment! Congratulations, Ed! 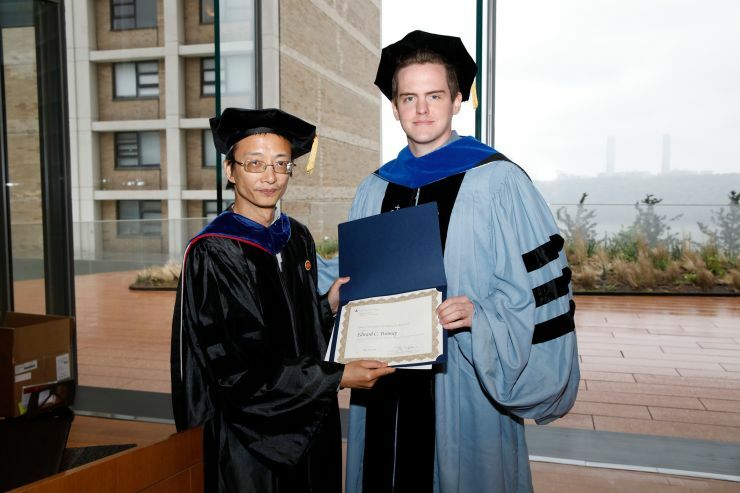 Hooding ceremony, Columbia University Medical Center, May 13, 2018. Here is the poster of the today’s PhD defense of Ed Twomey.